Mr. Eckberg advises engineering, architectural, geotechnical and environmental firms, contractors and owners and operators on corporate law matters, including ownership transition, strategic partnering and structuring and mergers and acquisitions. He also assists in drafting and negotiating commercial transactions including purchase and sale agreements, merger agreements, stock exchange agreements, liability transfer agreements, construction and services contracts and leasing arrangements. He has been practicing corporate law for over 30 years. 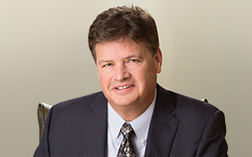 Mr. Eckberg has advised and represented design professionals in disputes regarding allegations of professional negligence, breach of contract, breach of warranty, and a variety of environmental claims. He assists in developing risk management programs and reviewing and negotiating insurance coverage for complex projects. With a strong technical background in environmental engineering, Mr. Eckberg combines his legal experience with his technical understanding of complex environmental matters to provide advice and representation of regulated companies and firms working in the environmental industry on federal and state superfund matters, hazardous waste handling, toxic chemical reporting, wetlands and natural resources, and regulatory compliance. Mr. Eckberg has been practicing environmental law representing companies before administrative agencies and in the courts for over 30 years. Mr. Eckberg advises companies on government contracting issues, including compliance with cost accounting standards and other provisions of the federal acquisition regulations. He has represented firms on disputes under the Federal Claims Act with various federal agencies, and assisted in resolving contracting disputes with state and local governments. Mr. Eckberg has structured multiple complex real estate transactions and represented both buyers and sellers in primarily the commercial real estate industry. He has occasionally assisted and represented sellers and buyers in the residential real estate industry also. Mr. Eckberg represents both employers and employees in employment related matters, including providing advice on employment manuals, addressing employment terminations, and resolving employment discrimination and wage claims. As part of his business law practice, Mr. Eckberg also advised clients on intellectual property matters such as trademark registration and defense, copyright, and licensing agreements.